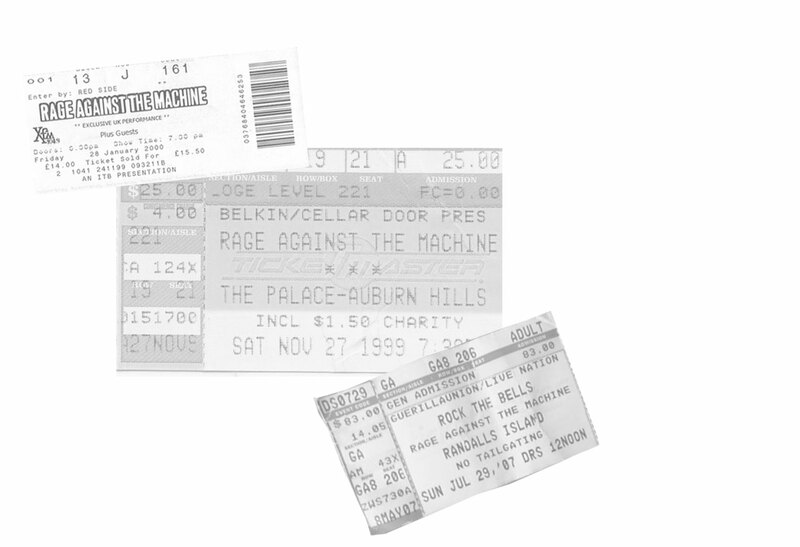 Rage Against the Machine is an American rock band from LA California. 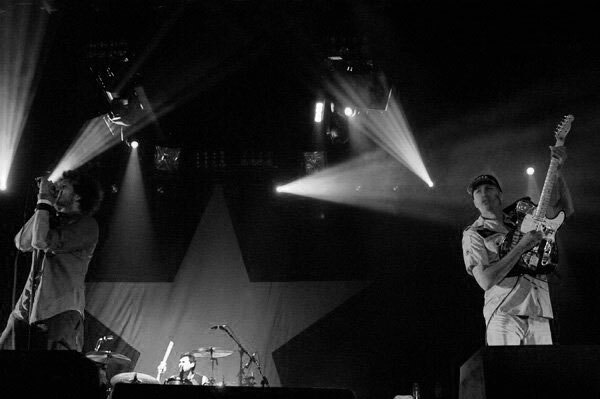 Formed in 1991, the group consists of vocalist Zack de la Rocha, bassist and backing vocalist Tim Commerford, guitarist Tom Morello and drummer Brad Wilk. Rage against the Machine are known for the members revolutionary political views which are expressed in many of the bands songs. 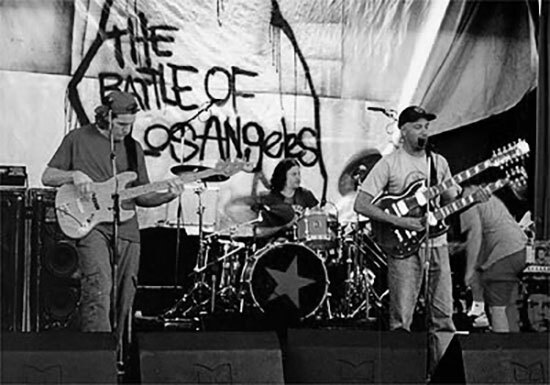 The band name originates from a speech Karl Marx made in which he asked the people to “Rage against the Machine”. “And the riot be the rhyme of the unheard” is a verse from the song “Calm like a Bomb” is a reference to a quote by Martin Luther King, Jr. The verse suggests that when the people are ignored by those in power, a riot may be the only way in which they can show their displeasure and take action for change. Their album, The Battle of Los Angeles, was nominated at the 43rd Annual Grammy Awards for Best Rock Album. The album was recognized by both Time and Rolling Stone magazines as the best album of 1999. The 2 x Grammy Award winners have to date sold in excess of 16 million records worldwide. Rage Against the Machine’s track “Killing in the name of” won a well-publicised battle in 2009 beating X Factor’s Joe McElderry for the Christmas no 1 spot. As a direct result they were bestowed with NME’s Hero of the Year award (2010) and later entered the 2011 UK edition of the Guinness World Records under the category of “Fastest-selling digital track (UK) after recording 502,672 downloads in its first week. Click here for the official Rage Against the Machine online store.